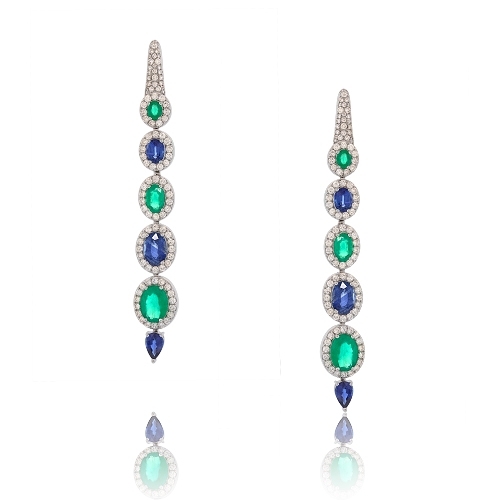 Designer Sutra Emeralds & Blue Sapphire long earrings bordered with brilliant diamonds mounted in 18k white gold. Diamonds approx. 2.29ct. Earrings 2.6"